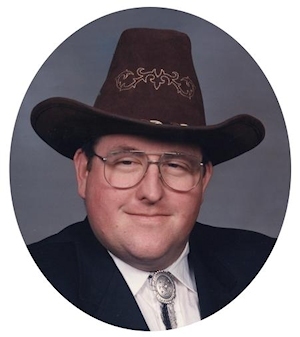 Obituary – Beckham, M. Nick « Perry High School Alumni Association, Inc.
M. Nick Beckham, 49, of Perry, Oklahoma, was the son of Glen Dale and Josephine Marie Rolling Beckham. He was born March 14, 1964 in Perry, Oklahoma and died Sunday, March 17, 2013 at his residence in Perry, Oklahoma. He was a graduate of Perry High School class of 1982 and then attended East Central University in Ada, Oklahoma where he obtained his teachers certificate in 1986. Nick was active in the Knights of Columbus and previously served as district deputy and as Chairman of the State Christmas Card Committee. He was also a member of the Perry High School Alumni Association. Nick had been the manager of Arbys and Taco Mayo. He was a member of the Knights of Columbus 4th Degree 1950, NW Singles Square Dance Club and the Perry Friends of the Library. Nick was an active member of the St. Rose of Lima Catholic Church. Funeral Mass will be 10:30 a.m., Wednesday, March 20, 2013 at the St. Rose of Lima Catholic Church in Perry, Oklahoma. Father Dan Letourneau will officiate. Interment will be in St. Rose of Lima Catholic Cemetery in Perry, Oklahoma. Services are under the direction of BrownDugger Funeral Home in Perry, Oklahoma. Rosary will be 7:00 p.m., Tuesday, March 19, 2013 at the St. Rose of Lima Catholic Church in Perry, Oklahoma. Memorials may be made to the Knights of Columbus Center of Family Love, Perry Alumni Association Memorial for Scholarships, Knights of Columbus 1053 Youth Seminary Vocations Fund, Knights of Columbus 4th Degree Assembly 1950 for Patriotic Programs, St. Rose of Lima Catholic Church Youth Activities or Perry Friends Library in care of BrownDugger Funeral Home, 1010 N. 7th, Perry, Oklahoma 73077. Nick is survived by his sister Maria L. Avers and her husband, Tracy of Wellston, Oklahoma nieces and nephews, Kristi R. Avers and her daughter, Abbi Myrle of Wellston, Oklahoma, Kyle and Alisha Avers and sons, Travis Wade and Tyler Nelson of Lawton, Oklahoma, Kayla Avers and son, Kadin Cooper of Stillwater, Oklahoma aunts and uncles, AnnaBelle and W. B. Bennett of Carnegie, Oklahoma, Maxine Beckham of Wichita Falls, Texas, Caroline Rolling of Kemp, Texas, Dorothy and Frank Chrz of Perry, Oklahoma, Ron Skalenda of Midland, Texas, Leroy Rolling of Perry, Oklahoma, Berry and Mary Ann Coppage of Houston, Texas and numerous cousins. He is preceded in death by his parents Glen Dale and Josie Rolling Beckham uncles, Hubert Beckham, Clarence Rolling, Emil Rolling aunts, Norma Rolling and Fran Skalenda.